Do sweet, ripe peaches and smooth bourbon remind you of summertime in the South? Don’t be fooled by this one. The ginger, black pepper, and bitters give it a surprising hit of spice. Peach nectar, bourbon, ginger & spice: never tasted so nice! 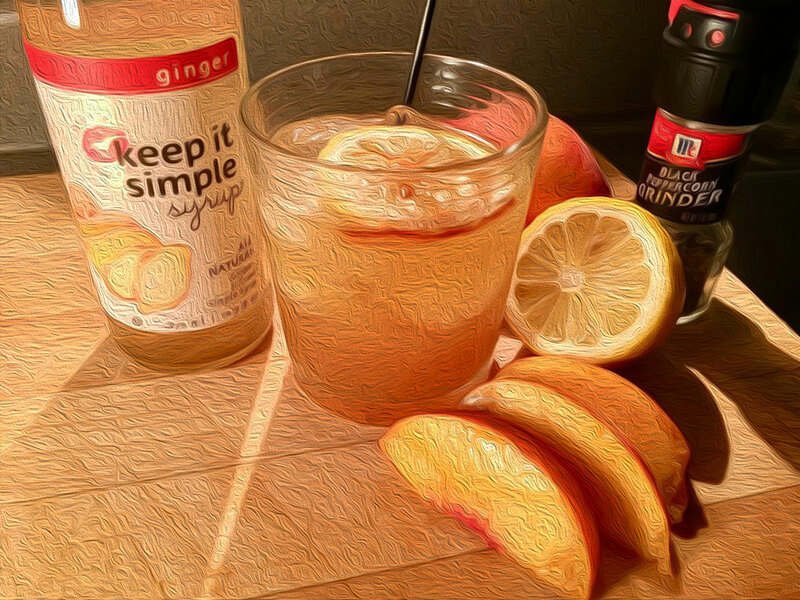 1Mix freshly squeezed lemon juice, Ginger KISS, bourbon, peach nectar, and black pepper in shaker with ice. 2Pour into rocks glass over ice. 3Place a slice of lemon on top of ice. Add a dash or two of bitters for color and spice. Here’s a winner for the dog days of summer that’ll remind you of summer during the coldest days of winter, too! Just a touch of freshly ground black pepper and a dash of bitters balances sweet peach nectar and bourbon, and lemon juice brightens it up perfectly. A must-try if you love bourbon.